The 7" Honcho Waterproof Comp Toe Lace-up work boot is crafted with Chip-A-Tex® waterproofing to help your feet stay dry. The Comp Toe design offers the safety and protection your day demands. A high-tech Chippewa UCM® insole provides comfort, and the ultra-durable Vibram® Chippewa® Foreman outsole helps keep you sure-footed. 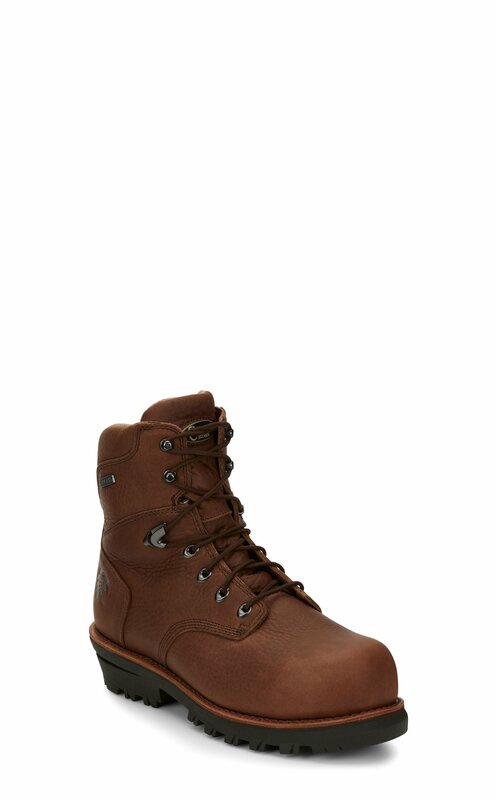 This boot is Electrical Hazard Rated ASTM F2413-11.